Pitch where you like in our flat peaceful field with wonderful views down the valley. We have fire-pits available to hire and warm showers and composting loos. Dogs are free of charge but they must be kept on a lead at all times! 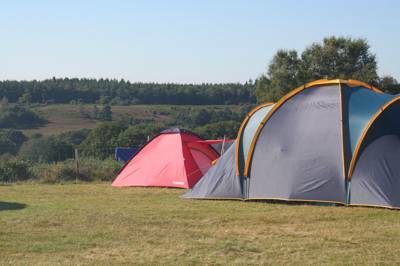 When your campsite lies in the thick of one of the country’s great national parks, swimming pools, games rooms and onsite entertainment seem wholly redundant. 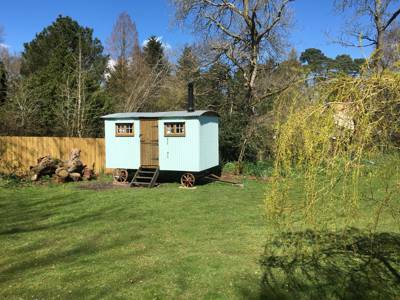 You won’t find any such fripperies at Teddy’s Farm, a cracking New Forest pop-up between Lymington and Brockenhurst. 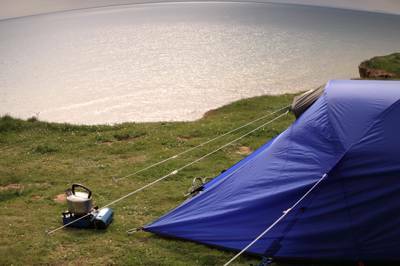 This is camping as it should be, with acres of space for kids to run themselves ragged playing games and building dens. 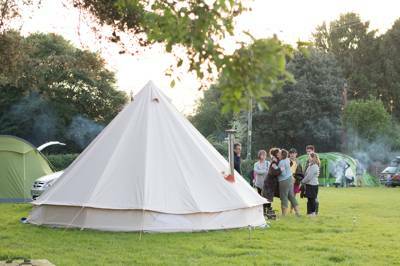 A refreshingly relaxed atmosphere reigns here, with dogs welcome, campfires permitted, no formal pitches to hem you in and an uncommon sense of space that makes you appreciate what a find this place truly is. As a working sheep farm, kids will love meeting their bleating new friends and may even be lucky enough to catch the resident sheepdog at work. Facilities are basic but more than adequate for a site of this size that only pops-up fleetingly for a month or so at summertime. Best of all, the farm’s very own pasture-fed lamb is available to buy – a fitting and delicious centrepiece for your campfire cookout. 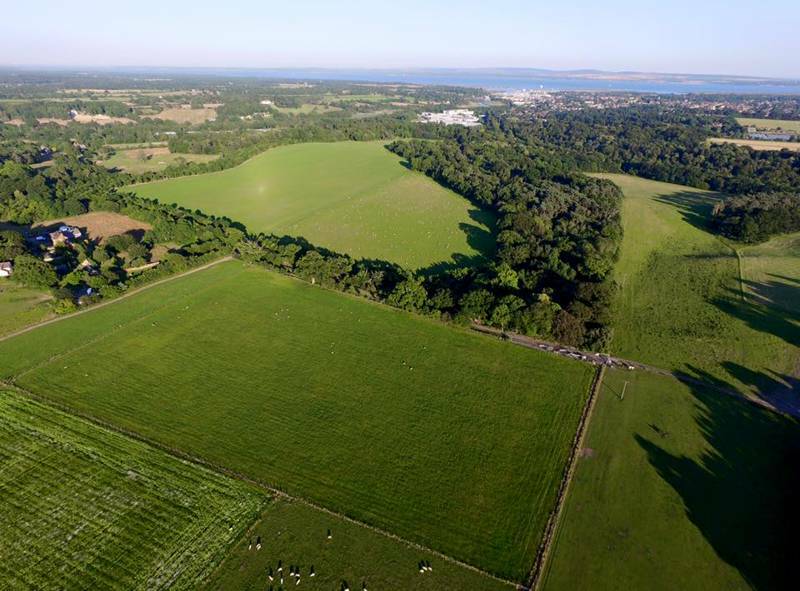 Though titular host Teddy’s family have been rearing sheep at the 170-acre Battramsley Farm since the late 1970s, his family’s farming roots in the New Forest go back over 200 years. So if ever there was a campsite host who can claim to know a thing or two about these parts, it’s Teddy. And with a wealth of walking routes, scenic seaside spots and little-known gems to seek out, there’s no end to the adventures that await beyond the farm gates. The pretty port town of Lymington lies five minutes’ drive away and boasts a plethora of olde worlde pubs and charming chocolate-box shop fronts on its quaint cobbled streets. 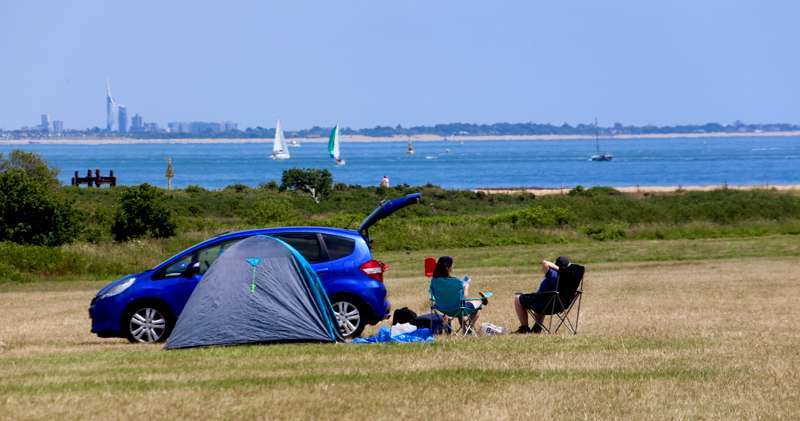 Henry VIII’s Hurst Castle and the innumerable woodland trails of the national park will capture your interest, while beaches aplenty await – the sandier varieties can be found further west towards Bournemouth, Mudeford and the Christchurch Harbour. Bring your family. Bring your friends. Bring your dog. Immerse yourself in some of life’s simple pleasures. Reconnect as a family. Watch the sheep grazing. Spot deer. Discover The New Forest. Meet New Forest ponies. Explore new places. Sail from Lymington. Enjoy delicious local produce. Hire a fire pit and chatter the evening away. Gaze at star filled skies. Relax. Unwind. Go home happy. For latest availability and best prices for Teddy's Farm, please use the Date Search above. 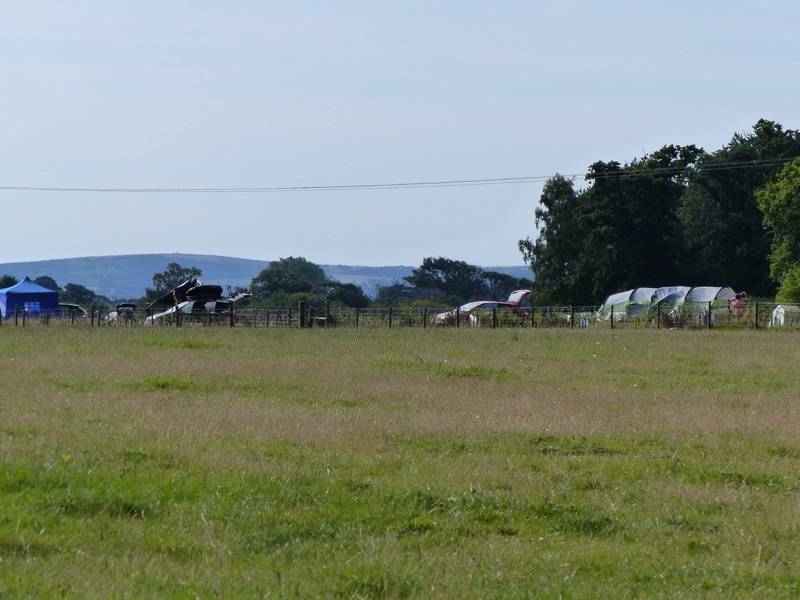 Approximately 60 unregimented grass pitches, with an additional field opening in peak season giving about 15 acres in total for campers to pitch up where they like. 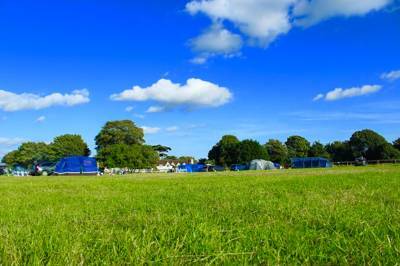 Tents, campervans, dogs (free), families, couples – yes. Caravans, motorhomes, noisy campers – no. Hot showers available 24hrs a day, ‘Thunderbox’ composting loos, water taps for drinking and washing-up. No electric hook-ups. Freezer available for ice packs (no charge). Campfires permitted in the firepits provided. 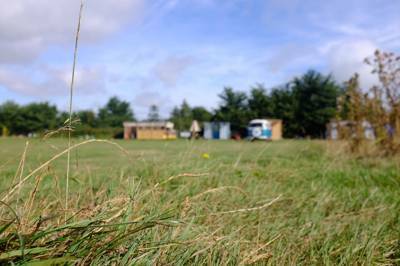 The farm lies in the heart of the New Forest, with the national park eminently explorable by foot from the campsite. There are plenty of scenic trails and cycle routes – ask your hosts about local bike hire. The scenic port town Lymington is just 5 mins drive away. Its quaint cobbled streets boast cute shops and cafés. Be sure to visit Lymington Sea Water Baths (01590 678882) – the UK’s oldest lido. Beachwise, there are sandy stretches of coast nearer Bournemouth. Alternatively, seek out the sailing hub of Keyhaven (6 miles away) and stroll its shingle beach to Hurst Castle (0370 333 1181). This 16th-century fortress was built by Henry VIII to safeguard the entrance to The Solent. Learn about its fascinating history whilst admiring the views towards The Needles and the Isle of Wight. The National Motor Museum (01590 612345) at Beaulieu (7 miles away) makes for a perfect rainy day activity. Farm-reared, pasture-fed lamb from Teddy’s flock is available to buy onsite (usually from August onwards). The pick of the local pubs is The Red Lion (01590 673177) in Boldre – just a 10–15 mins walk from the farm. This quintessential New Forest inn boasts timber beams, a lovely beer garden, a fine variety of ales and a menu of hearty dishes that celebrate the best local produce. Wine aficionados should seek out Setley Ridge Vineyard (01590 622246) 5 mins away, just outside Brockenhurst. Tasting tours can be arranged and you can stock up at the onsite farm shop. The vineyard also boasts a cracking bistro in the Rosie Lea Kitchen (01590 622908). There are plenty more dining options in Lymington – ask Teddy for other local recommendations. Selected dates throughout the summer. 26th–28th July & 2nd–26th August. Leave the M27 at Junction 1, then head south on the A337 towards Lyndhurst and then Brockenhurst. Proceed over the level crossing towards Lymington. After 2 ½ miles, turn right into Shirley Holms Rd. Take the 2 nd entrance on your left to Teddy’s Farm. Follow the signs out to the camping fields and find a spot you like.